Aurangzeb in love!! !.One would be surprised to come across love story which hardly matched his personality.This is about love affair of one of the most prominent Mughal Emperors, Aurangzeb (1618-1707) who ruled over India for 49 years (1658-1707).Aurangzeb fell in love at first sight with Hira Bai. 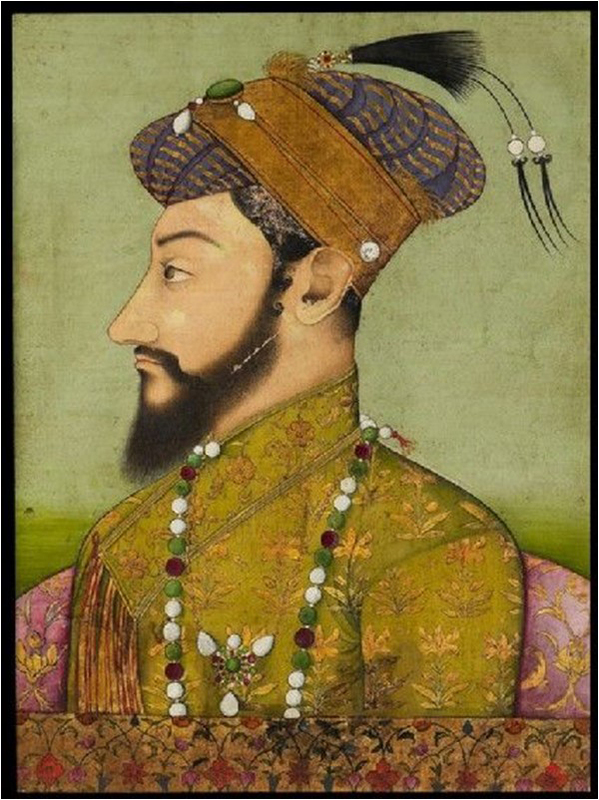 Emperor Shah Jahan had personally led his forces to Deccan in 1631. 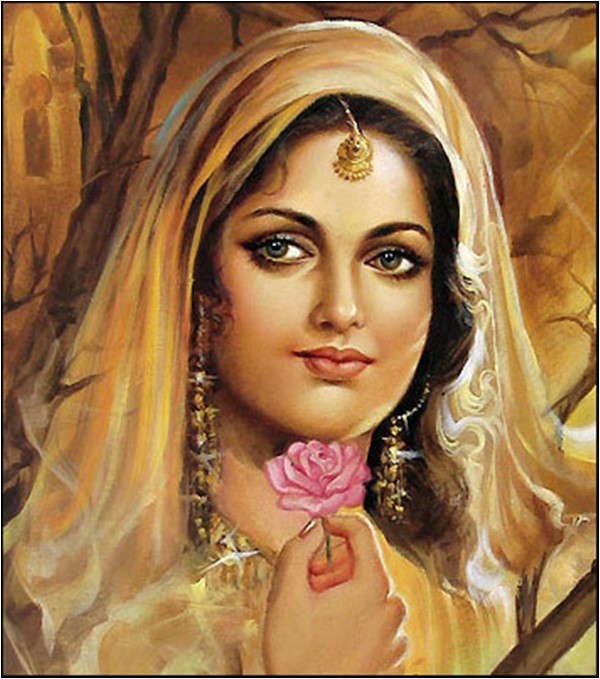 During this campaign, his wife Mumtaz Mahal died at Burhanpur. She was temporarily buried in the city before her mortal remains were moved (1648) to the Taj Mahal in Agra. Shahjahan the Emperor was in deep mourning due to her death. While retiring from the area in grief, he appointed Aurangzeb, then Prince Muhi-ud-Din only fourteen years of age, as governor of Deccan. The Prince set up court at Kirki at 220 km south east of Burhanpur on the right bank of river Tapti, later (1653) he renamed it Aurangabad. In 1636, Aurangzeb was travelling to Kirki, the place of his court (now known as Aurangabad) from Delhi and decided to make a stop at Burhanpur to pay respect to his maternal aunt, Salah Bano, sister of Mumtaz Mahal. His aunt was married to Khan-e-Zaman Saif Khan, Subedar of Burhanpur, Commander of Artillery. 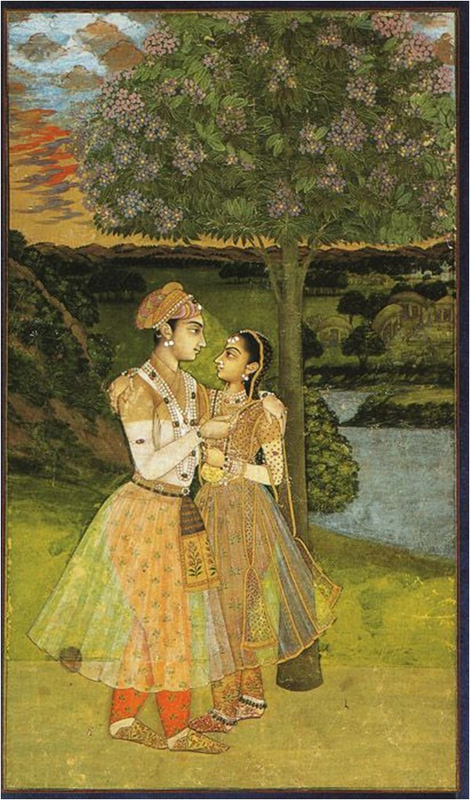 “Since Aurangzeb was a member of the family, the ladies of the harem of the Subedar were not in total seclusion.There in the garden, Aurangzeb’s eyes locked on to one girl who was holding a branch of a tree and humming a tune. When her aunt was informed about his condition, she was perturbed and came running bare footed. She sat down beside her nephew trying to revive him. After a little while, he regained his bearings. Despite her urging, he didn’t disclose the reason for his discomfiture.A despondent and grief-stricken feeling prevailed in the house and the feast was disrupted. Around midnight, when Aurangzeb was composed enough, he went over to his aunt and told her the reason for his affliction. On hearing about the girl, she became tormented and distraught. She told him that the girl is a dancer and signer by the name of Hira Bai and was called Zainabadi for belonging to a local village of that name. She lamented that her husband was very harsh. She feared that on hearing that Aurangzeb was interested in his concubine, he might respond violently. Since Saif Khan knew about the harem of Aurangzeb, he wanted Chattar Bai, a concubine of Aurangzeb in exchange. Salah Bano went to Aurangzeb and conveyed the message which was agreeable to the Prince. Certainly, Aurangzeb had started enjoying music and dance during that time. It is recorded in contemporary resources that Aurangzeb was extremely pleased and merry in the company of his love. He even lost some of his extremist or puritanical leanings. Hirabai’s looks, combined with her musical accomplishments, proved irresistible for the prince. Once Hira Bai wanted to test Aurangzeb’s love for her, she offered him a glass of wine and when he was about to drink, Hira Bai took it away. Another version is Aurangzeb started drinking with her and enjoyed music and dance in her company. Alas, this love was not to last. Hira Bai soon fell sick and died. She is buried in Aurangabad. Aurangzeb gave up music and wine after her death. Aurangzeb built masjid and Mala in her name. Zainabad is in Burhanpur in Madhya Pradesh. Aurangzeb made a vow never to drink wine, nor to listen to music again. In later days he was accustomed to say that God had been very gracious to him by putting an end to that dancing-girl’s life, by reason of which he had committed so many iniquities. Perhaps his heart died with the passing away of his one true love – Hira Bai Zainabadi. Aurangzeb died in 1707 at Ahmednagar. His body was then carried to Khuldabad .There is a platform over the tomb made of red stone, less than three yards in length. There is also a "cavity" in the middle which measures a "few fingers". The tomb has been covered with soil on which herbs grow. Lord Curzon later covered the site with marble and surrounded it with a "pierced marble screen". The tomb is roofed by "the vault of the sky".The gateway and the domed porch was added in 1760. This ended the love story of Aurangzeb who as Mughal prince fell in love and later a ruthless Mughal emperor on a sober note. This Love Story of Aurangzeb and Hira Bai Zainabadi has been compiled with help of materials and photos available on net and posted by Engr Maqbool Akram.